One of the most important parts of your online presence is your LinkedIn profile. 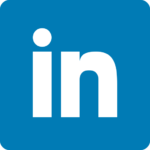 That’s what you use to connect with people in your network and your profile is how you get found on LinkedIn by potential employers. In addition, your LinkedIn profile can increase your visibility online and help you build your professional brand. Career & Life Planning will work with you to ensure your LinkedIn profile is complete and detailed for potential employers.